Dimon mistakenly falls into the common trap of believing that when the Federal Reserve buys bonds, it causes the price of the bonds to rise. 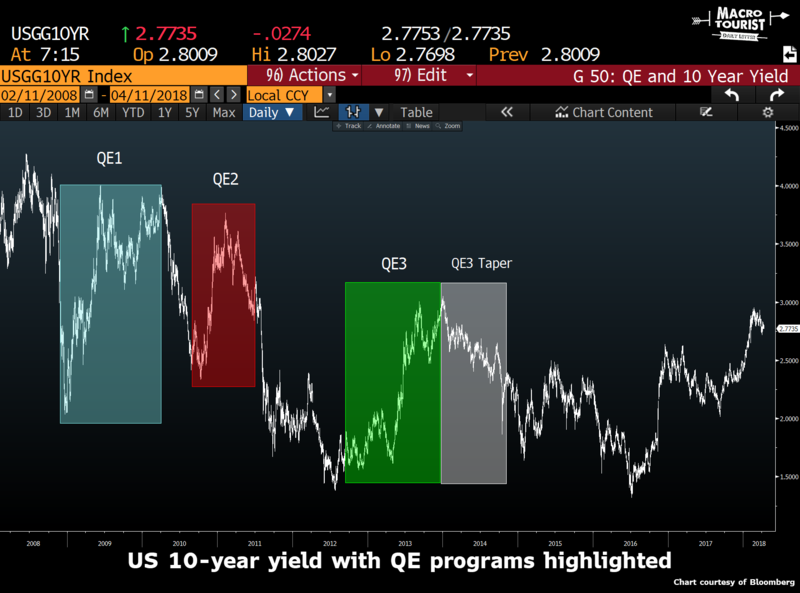 Quantitative easing is inflationary, and should be a long-bond investor’s worst nightmare. 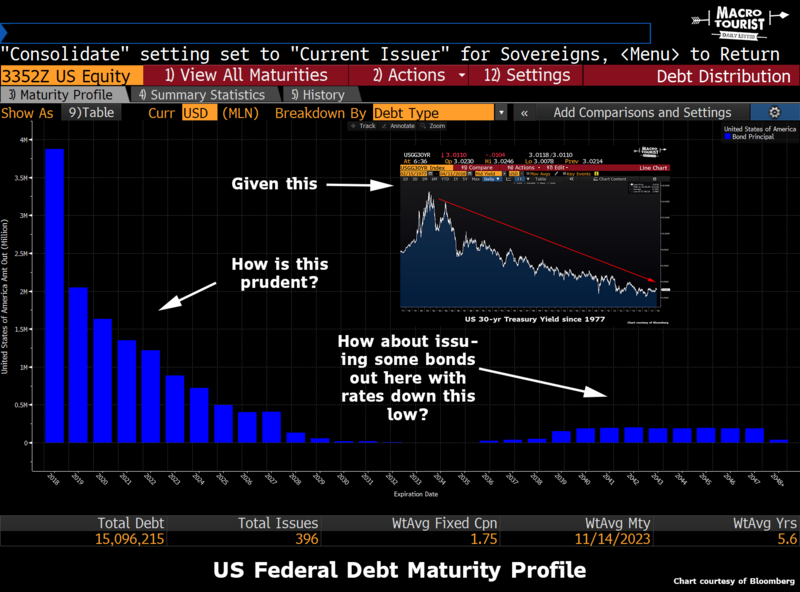 Therefore, if the Federal Reserve is expanding their balance sheet through bond purchases, you would expect investors to adjust by selling long-dated bonds. Which is exactly what happened during all the US quantitative easing programs. I realize that if the private sector credit creation mechanism is not functioning properly, QE purchases can overwhelm the expected supply response, but it is a mistake to assume that since the Federal Reserve is buying bonds then longer-term yields must be artificially suppressed. What happened each time the Fed stopped QE? Yields fell. The complete opposite of what Jamie would predict. For the past few years, the Fed’s open-market operations have had little effect on US Treasury prices. Chances are that the Bank of Japan and ECB balance sheet expansion has way more to do with the lower than expected US bond yield than anything the Fed is doing. But that’s not my real beef with Jamie. No, what I find amusing is his belief that the Federal Reserve might have to take “drastic action” raising rates due to inflation. I have no doubt that Jamie is sincere in his belief that inflation might take off, and that this will put the Federal Reserve in a terrible bind. However I take issue with his forecast that the Federal Reserve will step up to the plate and raise rates as quickly as Jamie foresees. The reason for my skepticism? The debt distribution profile of the US government. Look closely at how much of the US Federal Debt is short-term. The vast majority of it matures in less than 5 years. Given the nearly four decades of interest rate decline, you might think it wise to lengthen the duration of your borrowing. Especially when you consider what’s happened to the overall debt level. So let’s recap. 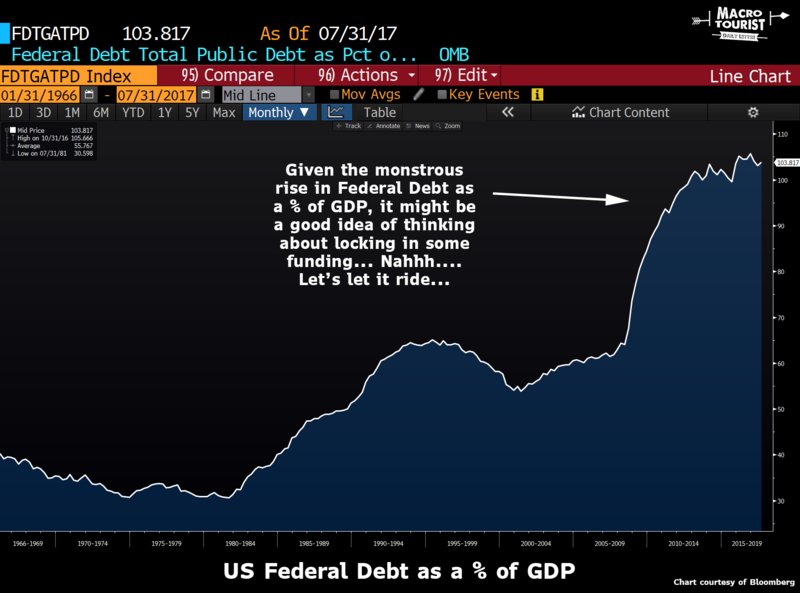 The total amount of debt is as large as it has ever been, while the vast majority of it is borrowed at the short end of the curve. Yet Dimon thinks the Fed will take “drastic action” and raise rates aggressively in the face of higher inflation? 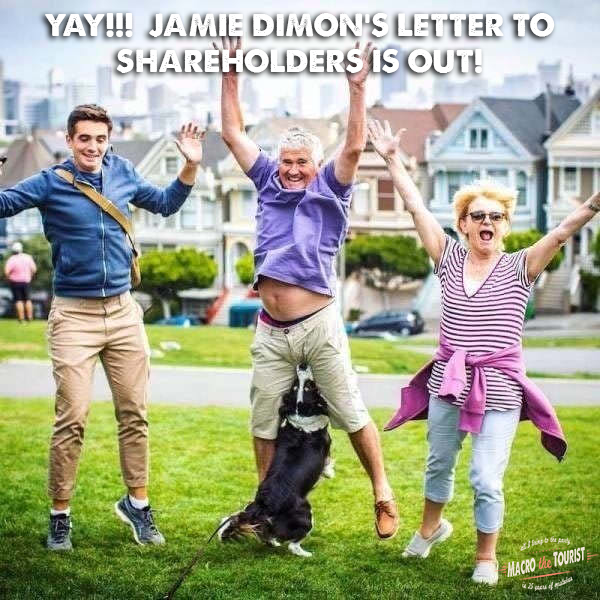 All I can say is, sold to you Jamie. If inflation takes off, the Federal Reserve will face incredible pressure to not raise rates as quickly as monetary historians like Jamie Dimon recommend. It will simply be too painful. It’s not going to happen.